by Alan Caruba, Contributing Author: This is hardly the best week to demonstrate his intense hatred of Israel, but since he has devoted 18 months to a fruitless and foolish negotiation with Iran, one can understand why Barack Hussein Obama is in a bad mood. His foreign policy “legacy” is close to being flushed down the Iranian toilet. 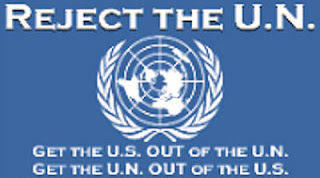 At what point will it be understood that the United Nations has no power to create states or to grant formal “recognition” to state aspirants and that the Palestinian Authority and/or Hamas does not meet even the most basic characteristics of a state, lacking for example either a capitol or a currency. As spelled out in the 1933 Montevideo Convention on the Rights and Duties of States, “Palestine” would have to have a permanent population, a defined territory, a government, and the capacity to enter into relations with other states. By contrast, the current president of the Palestinian Authority is now into his eleventh year of a term that, by their own law, is limited to four. Not only have the “Palestinians” refused statehood and a two-state relationship since the founding of Israel, but they have participated in large wars and small against Israel, beginning with one in 1948 when Israel declared its statehood. Despite 1949 Armistice Agreements, reprisal operations continued through to the 1960s from Syria, Jordan, and Egypt. The Six-Day war occurred in June 1967 and the Yom Kippur War was fought in 1973. Focusing on the “Palestinians”, the First Intifada, an uprising against Israel in the West Bank and Gaza occurred from 1987 to 1993. It was followed by a Second Intifada from 2000 to 2005. Responding to escalating rocket fire, there was a three-week Gaza War from December 2008 to January 2009 and in 2014, the Israelis had to respond to weeks of rockets again. Obama has turned to the United Nations knowing that it took the UN seventy years to even acknowledge the January 28-28 anniversary of the liberation of Auschwitz Birkenau, the Nazi death camp in which millions of Jews perished. 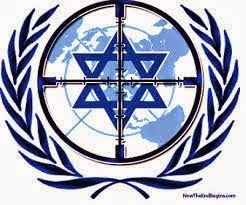 The UN has studiously avoided the subject of anti-Semitism because that would only call attention to the fact that it has been the global platform for anti-Semitism since its founding in 1945. A perfect example has been its Human Rights Council that has always included nations famed for their own lack of human rights. When it began its March 2nd session since electing 14 new members last fall, it included Saudi Arabia, Cuba, China and Russia. By the end of March, the Human Rights Council had declared Israel the world’s leading woman’s rights violator and followed up with a general condemnation, adopting four resolutions condemning Israel, four times more than any other of the 192 members of the UN. This is the same UN that in 2014 elected Iran to its woman’s rights commission, that selected genocidal Sudan and other slave-holding nations to its Committee on Non-Governmental Organizations to oversee human rights activists, and whose UNRWA handed rockets found in Gaza schools back to Hamas. By acclamation, a senior post on the US Special Committee on Decolonization was given to the murderous regime of Syria. The question of whether Israel is guilty of war crimes was raised in the UN when, after weeks of rocketing from Gaza, it defended itself with an air and land war. It followed the kidnapping and killing of three Israeli teenagers in June 2014. Operation Protective Edge began on July 8 and lasted seven weeks. In the course of it, they discovered over thirty tunnels whose purpose was to provide access to Israel for attacks on its citizens. Apparently self-defense is not a privilege the UN wants to extend to Israel. No doubt this will be on the minds of Jews, less than 2% of the world’s population, when they sit down to celebrate Passover, remembering their enslavement in Egypt and the exodus that led them to freedom. Jesus celebrated Passover and the Kingdom of God. He would pay for it when the Romans put him to death shortly thereafter. It is futile to think that Obama will cease from his assaults on Israel in the remaining 22 months of his second and final term in office. Those who know the history cited above must join hands to resist this latest enemy of Israel, this disgrace to America who is already widely regarded as the worst, most lawless President ever elected to that office. Tags: Alan Caruba, Warning Signs, Irael, President Obama, UN, Virtual War, on Israel To share or post to your site, click on "Post Link". Please mention / link to the ARRA News Service. and "Like" Facebook Page - Thanks!